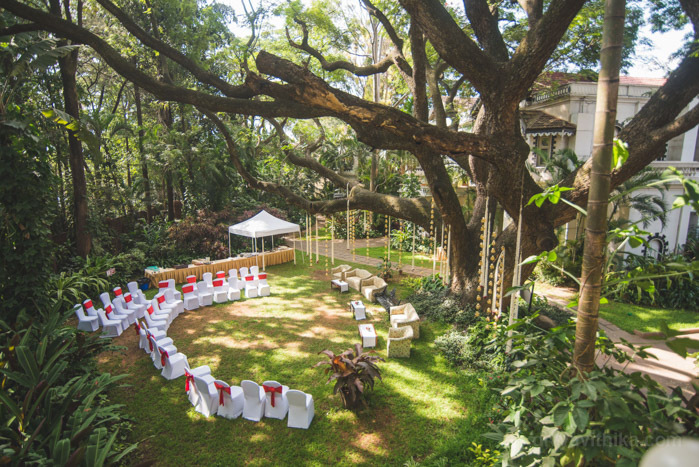 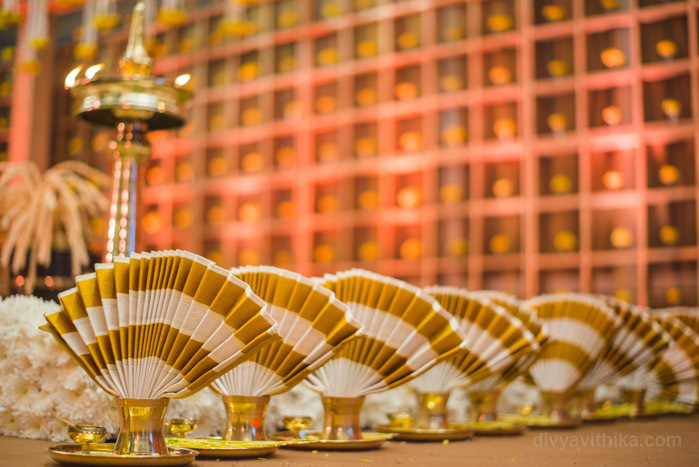 A Malyalee wedding is known for its simplicity. 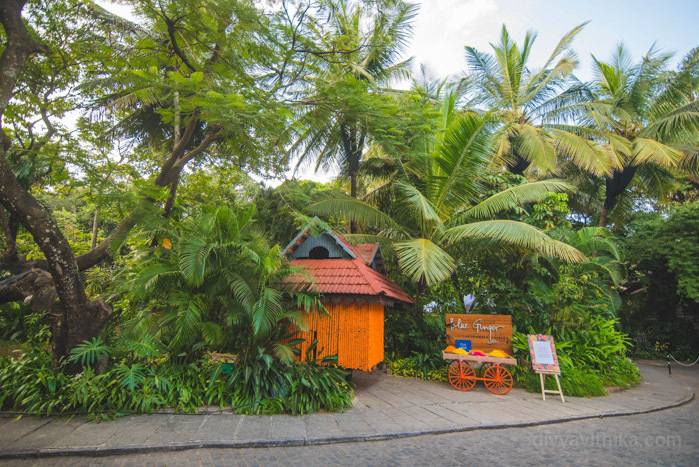 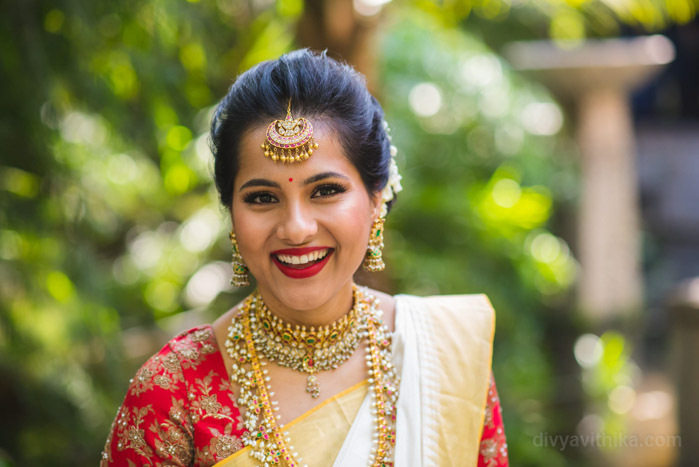 White and gold Sari’s, temple gold jewellery, a short and sweet ceremony followed by a scrumptious traditional sadya. 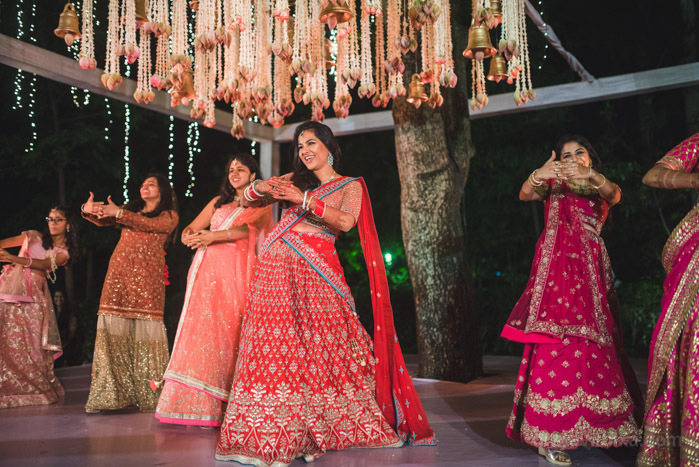 A Punjabi wedding on the other hand is larger than life and extravagant. 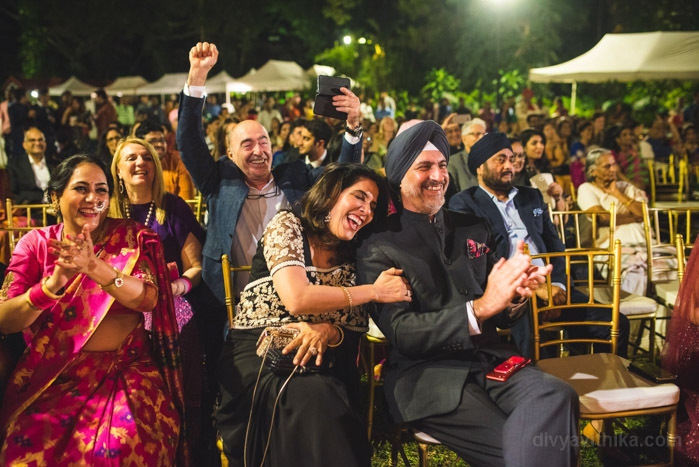 Every one is dressed to impress in a dazzling array of colours and there is never a dull moment with all the amazing music and dancing. 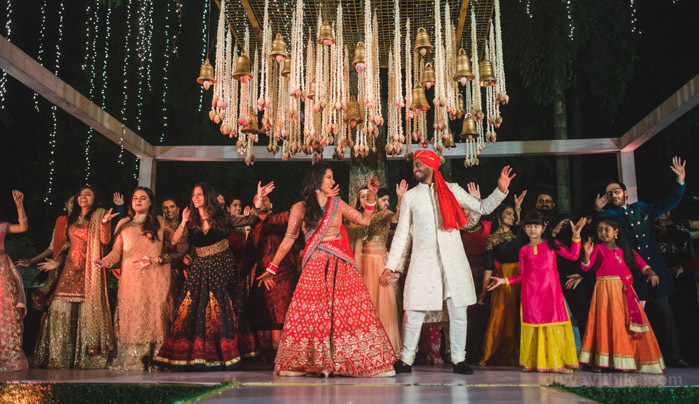 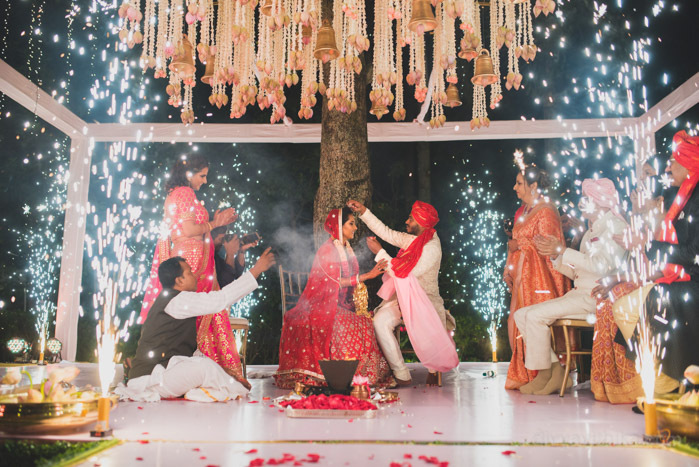 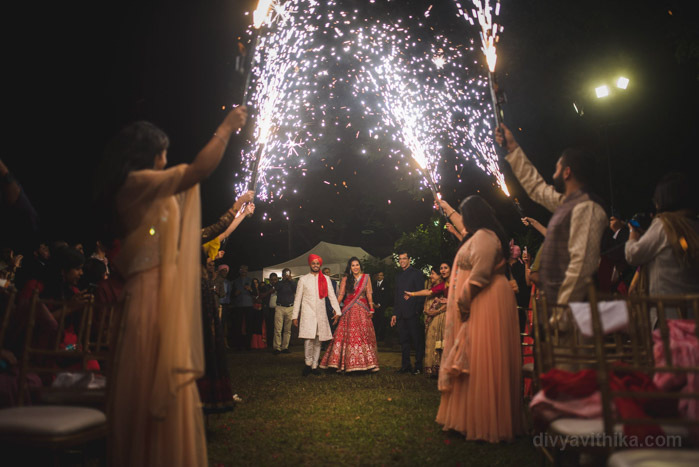 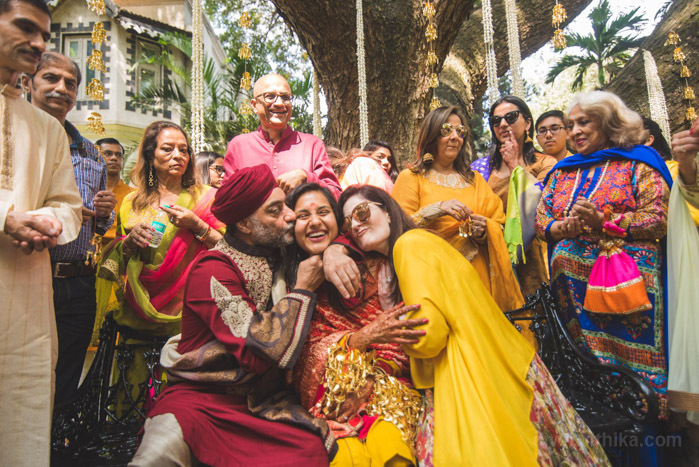 This wedding was unique in so many ways as this wonderful couple and their families came together to celebrate their differences and embrace each other’s culture. 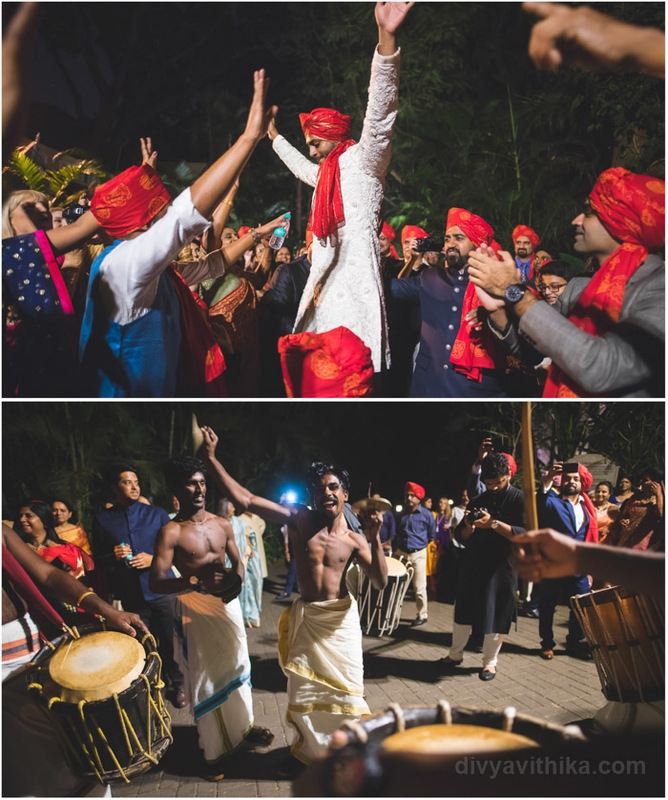 The bride and her family insisted on a baarat and the grooms side did not disappoint as the groom arrived on a boat with foot tapping chenda melam. 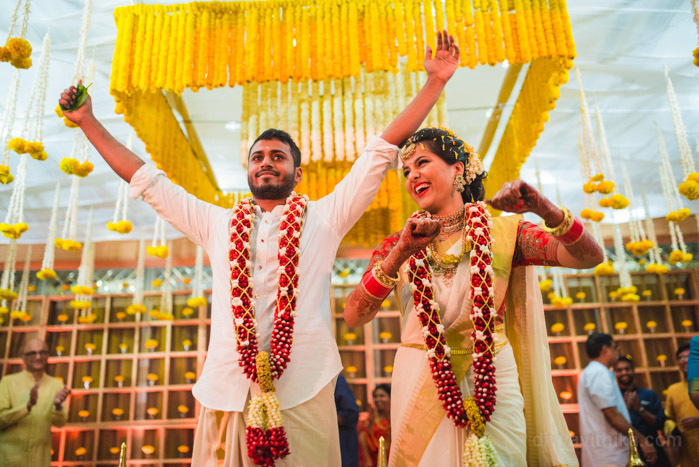 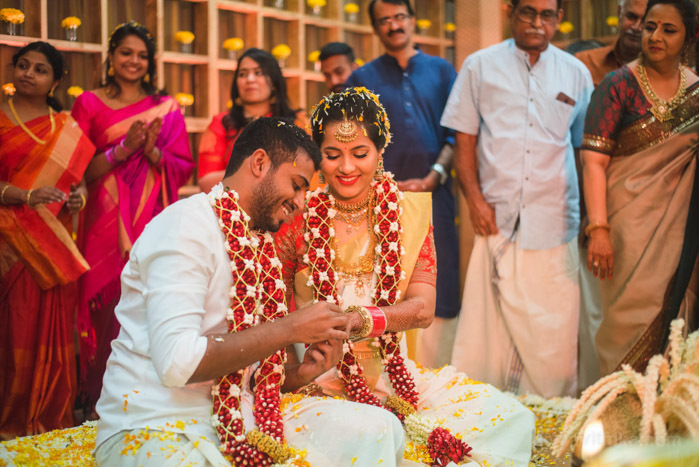 Similarly the bride dazzled in her white and gold Kerela sari as her family wholeheartedly participated in the various rituals. 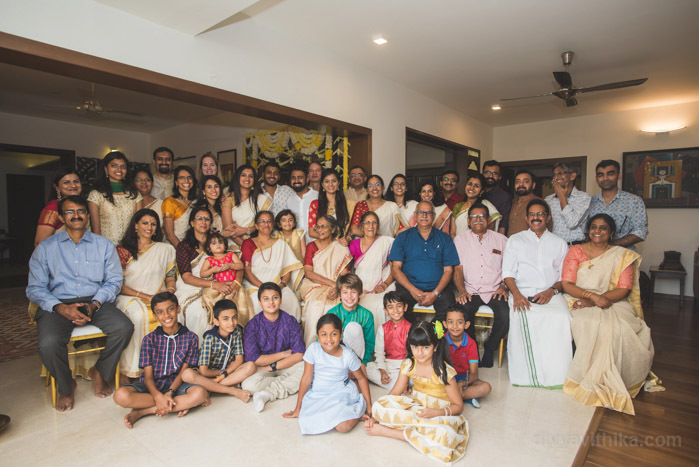 At our end the 3 days of non stop festivities kept us more than busy for months in advance. 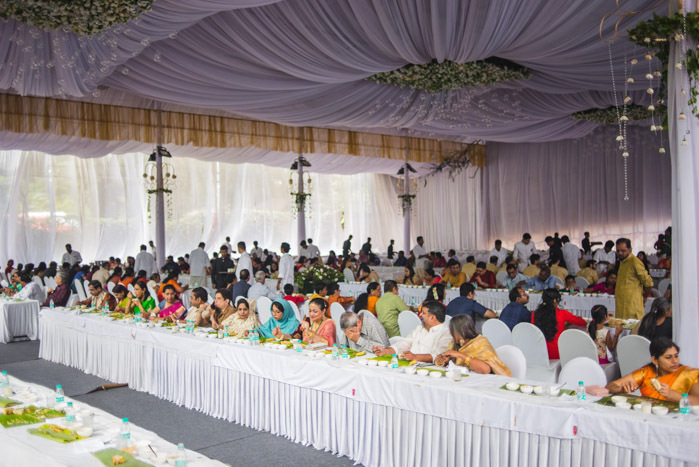 Our hospitality team was busy with the 350 guests who were housed between Windsor Manor and Taj Westend. 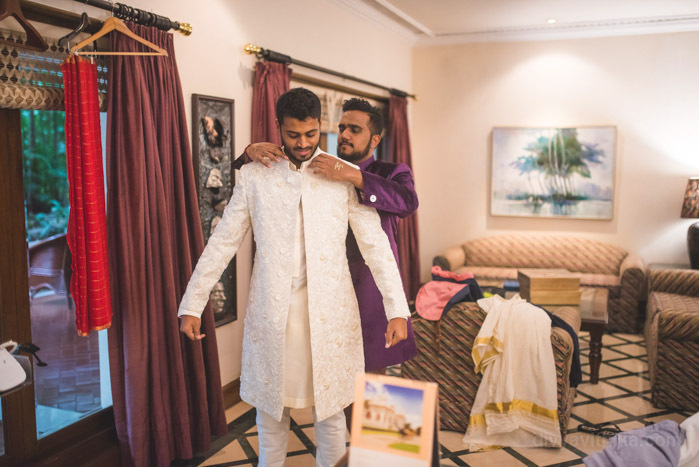 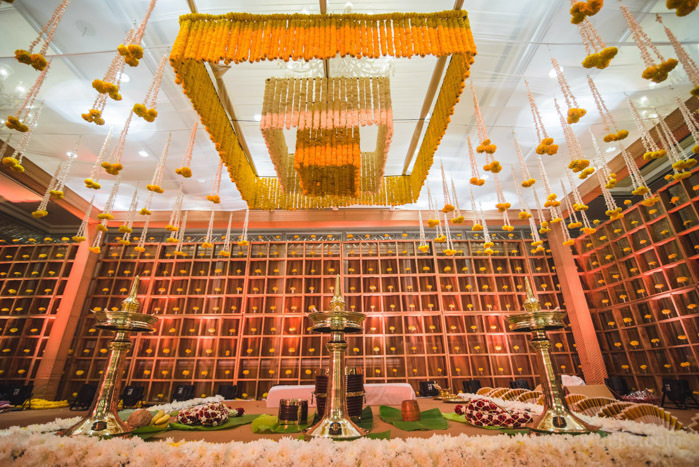 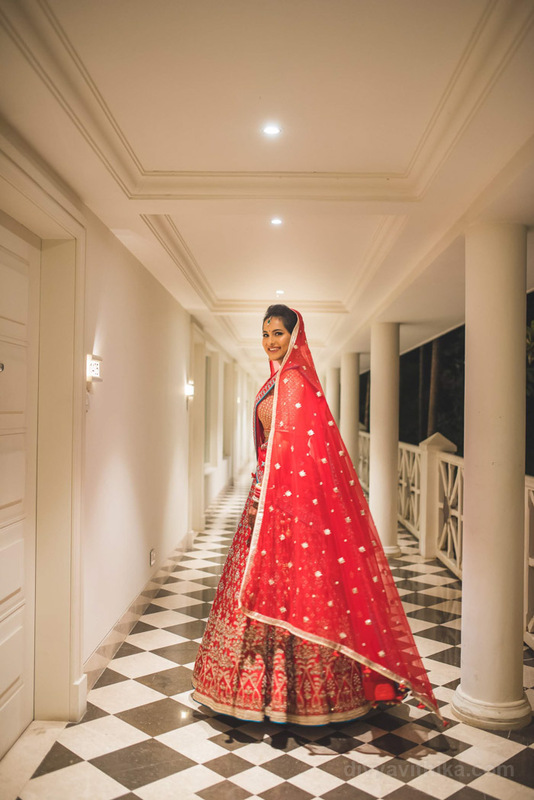 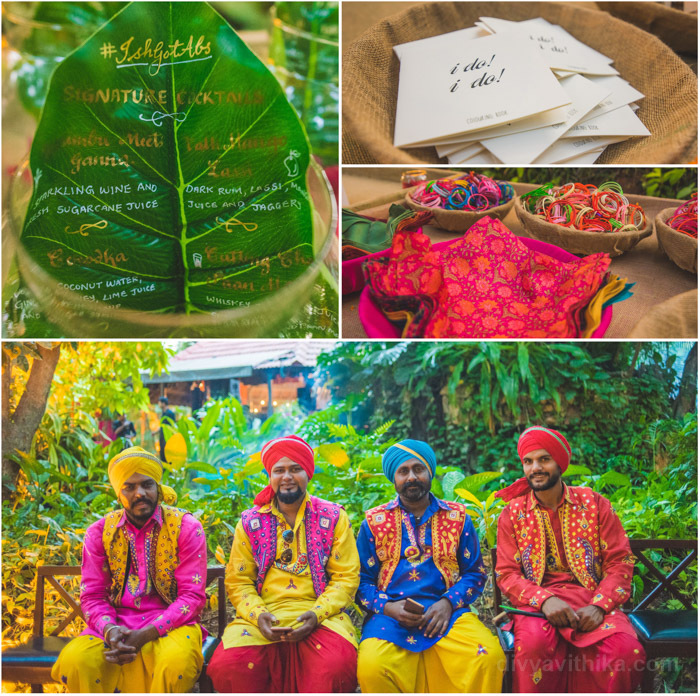 The decor team worked closely with both sides of the family to match their very different visions for the Malyalee and Punjabi wedding, while the planning team dealt with vendors and overall coordination. 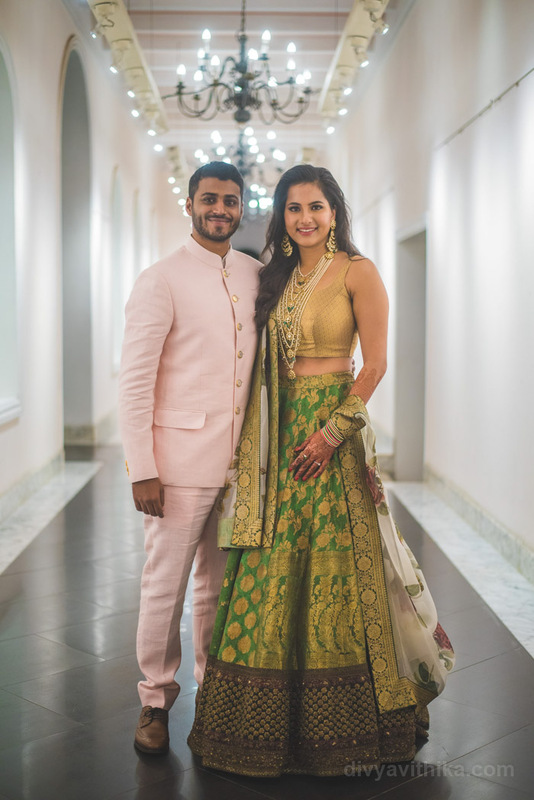 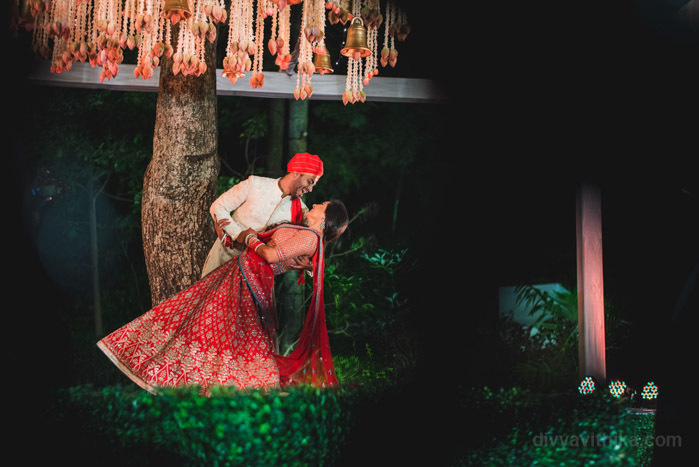 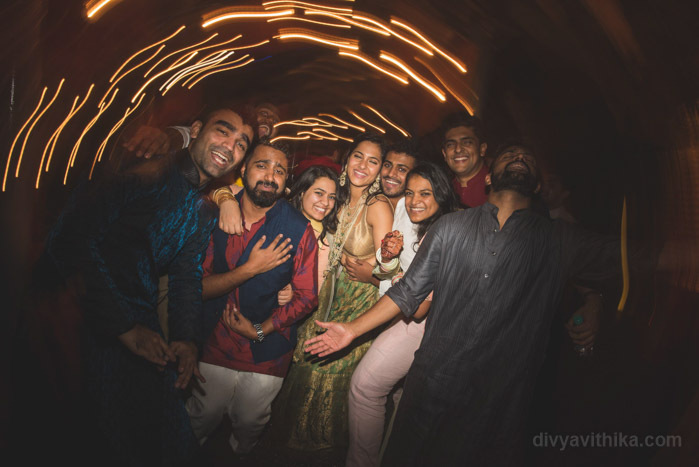 Ishika and Abhinav, we wish you a life time of happiness always. 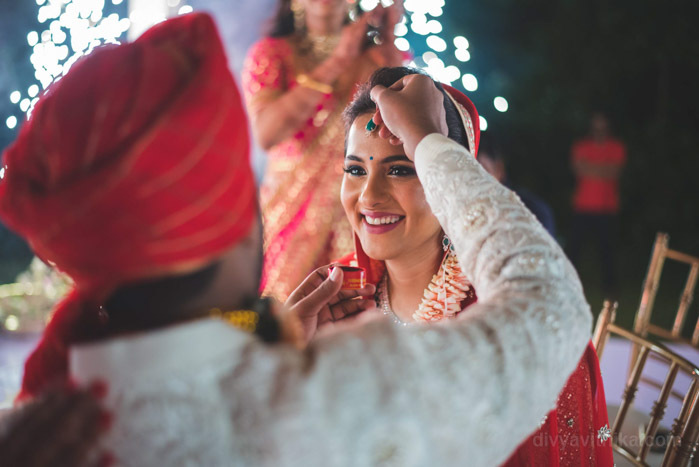 May you always continue to be each other’s strength and weakness.